Pvt. Bradley Manning’s case is cutting through the calcified US domestic landscape with a sword of sympathy. After his incarceration, the public is associating the Guantanamo images associated of “those Muslim terrorists” — shackled bodies, sexualized humiliation, minds breaking under psychological torture — with the cheery and too relatable photograph of the young American soldier. Pvt. Bradley Manning’s case is cutting through the calcified US domestic landscape with a sword of sympathy. After his incarceration, the public is associating the Guantanamo images associated of “those Muslim terrorists” — shackled bodies, sexualized humiliation, minds breaking under psychological torture — with the cheery and too relatable photograph of the young American soldier. The fact that P.J. Crowley, the White House spokesperson, was recently dismissed for calling Manning’s treatment at the Quantico military brig as “counterproductive and stupid” illustrates the growing explosiveness of the debate. Manning is, of course, the young soldier responsible for delivering the cache of a quarter of a million documents to WikiLeaks, cracking the PR-machine of empire and causing Tom Friedman of the New York Times to moan that the United States “is leaking power.” Manning is also believed to be the source of the WikiLeaks video, “Collateral Damage,” which shows a US Apache helicopter in 2007 gunning down a dozen Iraqi civilians while the pilots cackle, “look at those dead bastards.” The recent State Department cables, posted on WikiLeaks from December 2010 onward, rattled international halls of power by showing the world what the US “really” thought of its friends. 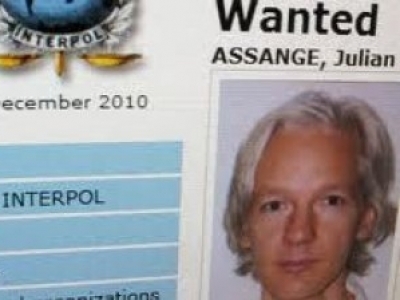 The revelations catapulted Julian Assange into stardom, while Bradley Manning was stealthily girded into the Pentagon’s black hole of detention facilities. Manning also revealed a video of a US gunship firing missiles at Afghan civilians, and a vast log of classified information relating to the Iraq and Afghanistan wars. 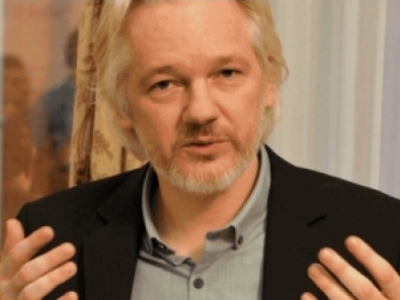 Assange posted the information on WikiLeaks, causing a meltdown of the US government’s manicured image crafted by the journalists embedded within military units. The internet came into its own — it was now possible for anyone with a computer to directly access the sordid, day-to-day details of the global War on Terror from 2004 to 2009. WikiLeaks, of course, graphically defaced one assumption that the US was trying to vault into fact — that in the Information Age, the only flow of information would be from the government to the public. Besides the gossipy details themselves, the leaked State Department cables produced a psychological shock: the idea that the bloated national security apparatus was not invulnerable, that a small and unseen fault-line would unravel the leviathan. For the Arab street, witnessing the utter contempt that US diplomats held for the firmly ensconsed Middle Eastern tyrants catalyzed the long-term dignity deficit they suffered under. The revolutions continue, and all fronts of the cash-strapped US are still trying to bring back the restive Arab world under its control. Manning was dubbed “a traitor” by the national security state and their right wing cheerleaders on the one side, and a hero by the left on the other. 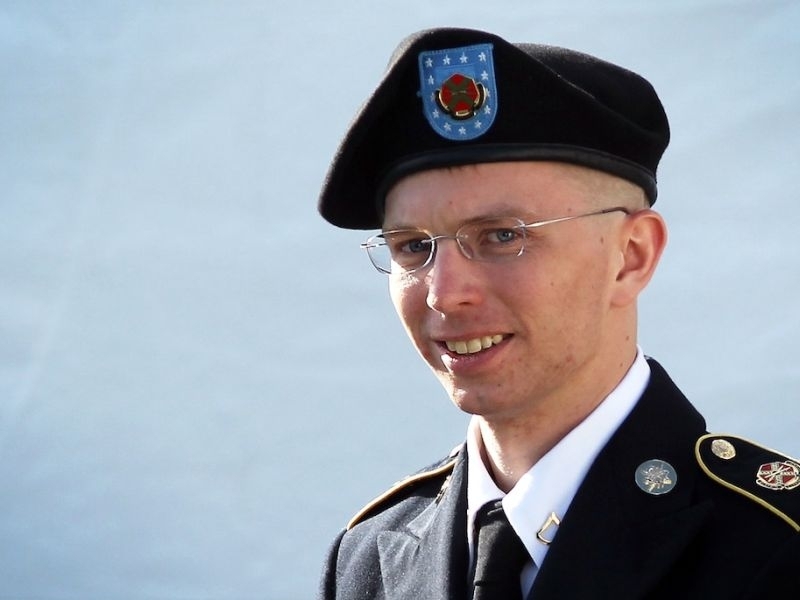 At the center of the storm about Bradley Manning are his own thoughts about what he was doing, and the fact that they fit into the tradition of protecting public freedoms in the face of official disapproval that US culture has long celebrated. In his chat logs with fellow hacker Adrian Lamo, who ultimately outed him to the FBI, Manning writes about his growing sense that something was wrong with the picture that was beginning to come in focus through inhumane orders to deliver Iraqi civilians for torturing and also through the molehill of intelligence secrets that revealed “how the first world exploits the third, in detail and from an internal perspective,” as he wrote to Lamo. And consequences there were. Thrown into the military brig at Quantico, Virginia, Pvt. Manning has been kept in solitary confinement, widely criticized by legal scholars as a calculated system of sensory deprivation that’s designed to mentally unhinge the prisoner. He’s prevented from exercising from 23 out of 24 hours of the day; and must answer every five minutes to the guard posted out of the cell. The military’s answer to his treatment has been: “it’s for your own safety.” When he made a sarcastic quip about the military’s concern for his safety, the response was escalation in his punishment: he was deprived of his clothing at night, and forced to answer the morning call naked. This regime of punishment is reinforced by various methods of psychological torture. Manning’s lawyer has sounded the alarm bell, saying that Manning was descending into a catatonic state, and that the normally bright young man was losing himself. No photos have yet been released, but the case is suggestive of the ghostly Abu Ghraib images of Muslim bodies being twisted in positions of humiliation and sexual degradation. The problem for the Pentagon is deciding exactly how Manning has broken the law. While Manning’s pillorying is sending a message throughout the national security state about the dangers of insiders spouting a conscience, vast teams of lawyers are at work on deciding exactly how to land the executioner’s ax or the life-imprisonment sentence on Manning himself. But the path for doing so is not all that clear. “Whistle-blowing,” as we call it in modern parlance, is an honored tradition in US culture. The Witness Protection Program, the agency that shows up regularly in the plots of romance novels and soap operas, is not just an umbrella for coddling damsels-in-distress — there is a recognition that people could get in trouble for exposing the transgressions of the powerful. But what when the abuses stem from the very apex of the power triangle, the war profiteers administering the national security state? James Madison, one of the architects of the US Constitution, reflected on the subject in a letter. “Of all the enemies to public liberty war is, perhaps, the most to be dreaded, because it comprises and develops the germ of every other,” he writes, “the discretionary power of the Executive is extended… all the means of seducing the minds, are added to those of subduing the force, of the people.” “No nation could preserve its freedom in the midst of continual warfare,” he concluded. The US national security state, born after the end of World War II, has made war a permanent enterprise. The Commies, the drug lords, and now, the Muslims, have been the fortuitous excuse to keep trillions pumping in the circuits between the war-corporations, war-lobbyists, and military point-men, while the civil society shrivels up like an earthworm doused with salt. According to the US’s founding documents, there was a safeguard to the specter of permanent war and the “seducing, subduing” efforts of the brass and suits most invested in it — checks and balances. The mechanism ensuring a government divided against itself and transparent to the people. (Now, it’s the other way around). As constitutionalists note, it may turn out that Manning has violated some obscure law like the Espionage Act of 1917 or perhaps a new law will have to be passed for retroactively proving that Manning is a criminal who threatened the interests and safety of the US. But he demonstrated fidelity to the original documents meticulously preserved in the National Archives — the Bill of Rights and the Constitution. Manning attempted to defend the beleaguered and seduced public’s right to know, and with it, the right to hold the overreaching government accountable. But as the pint-sized insurance boss in The Incredibles declared, the only rights are the rights of the shareholders. That is, accountability belongs to the stakeholders of the national security state and its various instruments of power. 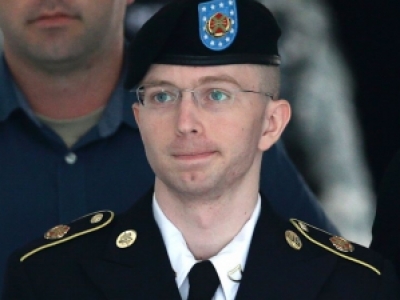 Manning tried to whisper the public out of its seduction, and for that, the usual privileges of race and class will be rolled back and Manning will enter the no-man category of “terrorist.” Manning is a traitor because he dared to flout the unspoken truth that the law is the state. For the US to find him guilty according to the Uniform Code of Military Justice, the Pentagon’s lawyers must first prove that there was a willing intent toward “aiding the enemy.” That is, it would have to be shown that Manning’s decision to send the information to WikiLeaks meant that “he knew he was giving intelligence and knew he was giving it to the enemy,” in the words of legal scholar Jennifer Van Bergen. Ellsberg and Bergen have both noted that the Pentagon’s case against Manning is being carefully crafted as a dual noose to indict Assange and WikiLeaks at the same time. Manning’s case in court would actually make for a boring legal drama, for everyone already knows the ending. What Manning’s case is doing is to shore up in the US public mind the uncomfortable issues of law, legitimacy and power run amok. Which obscure law will be ultimately chosen for nailing the soldier and WikiLeaks is not so important as the recognition that if law is no more than Play Doh in the hands of the state, then the agreements and principles that brought the United States into existence are no more than moldering flakes of 18th-century ink.